I have always liked water, never had any problem drinking it. It is my favourite beverage, I love how it quenches my thirst and even as a kid when I could choose between a soda or plain water I would pick water. But some of my friends cannot stomach the taste of water. It’s not the drinking that is problematic to them, they drink tea, fruit juice, coffee, it’s the blandness of water. They object to it lacking any taste, zing, character, they say ‘water is bleh’. Wash and hull the strawberries, then slice them up depending on their size (mine were small so I only cut them in half). 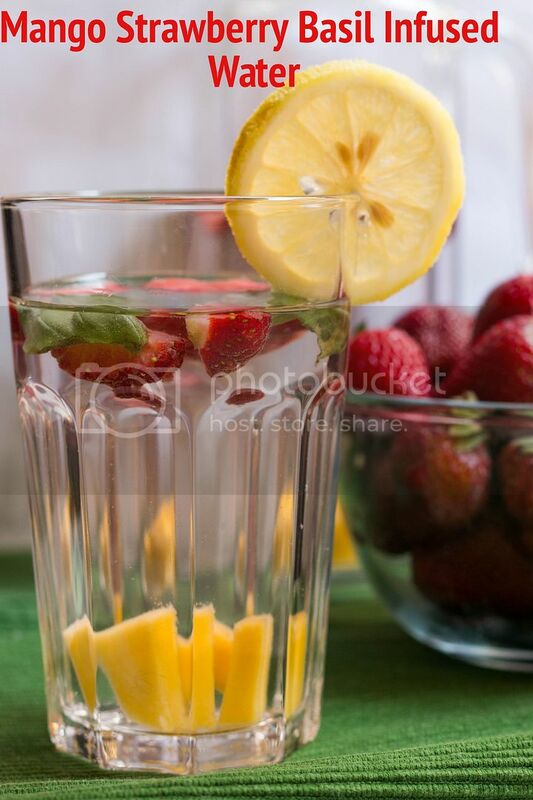 Put the strawberries, the diced up mango, the lemon or lime slices as well as the washed basil leaves in your pitcher, fill it up with water and put it in your fridge for a few hours (1-3) to let the fruits infuse the water. 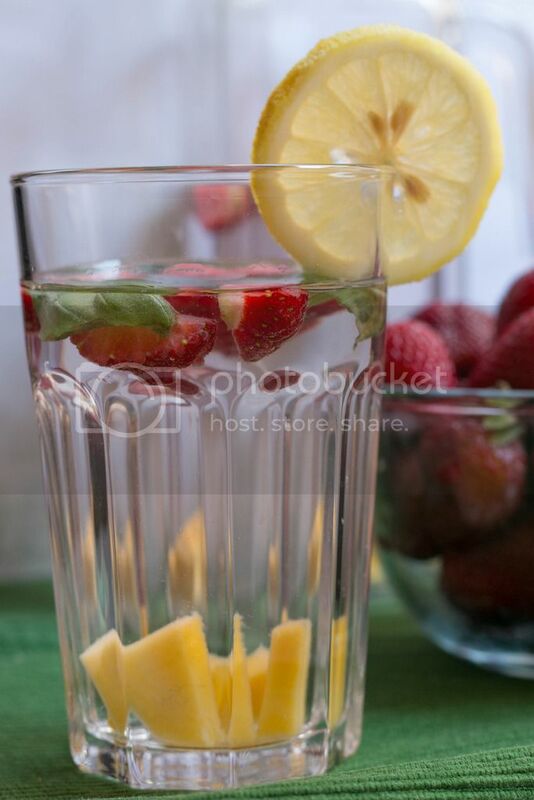 The longer you leave the fruit in the water the more intense their flavour will be. This amount of fruit is enough for 1 large pitcher of about 2 litres or several smaller glasses/jars. Only use organic lemon/lime, you do not want to let citrus treated with chemicals steep for hours in your drinking water.